76 total news articles in this section, 10 per page. Via fellow fansite Allspark.com's user NightViper, we have a list of upcoming Transformers: Robots in Disguise toys for the new year at Walmart. While some of the items included are re-packs of previous figures, such as Night Ops Bumblebee and Gold Armor/regular green Grimlock, we do have the new Blurr, Bludgeon and Twinferno figures - and an entirely new Thermidor one (though probably a redeco of Bisk)! Check it out below. While we're at it, and still building up to the trailer reveal, Collider has compiled some information about the upcoming fifth live-action movie from Paramount and Michael Bay - Transformers: The Last Knight. Some of this news is not news, some of it is more detailed that previous coverage, and some is just speculation, but still potentially spoiler-filled, so steer clear if you're not into that sort of experience. We've selected a couple of juicier bits from the list of 45, but you can still find the full piece here. Read on if you're so inclined! 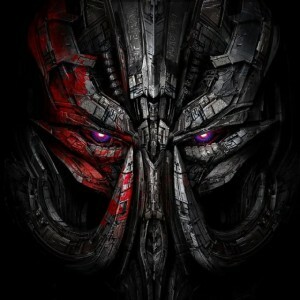 With Paramount and Hasbro hoping to make a number of future Transformers movies, Di Bonaventura revealed they have outlines for six and seven. However, they haven’t started writing the scripts because they didn’t want to rush them and needed to see how The Last Knight would change during filming. Isabela Moner describes her character as a tomboy and says when we meet her she’s homeless and joins Mark Wahlberg and the team in defeating the Deceptions. 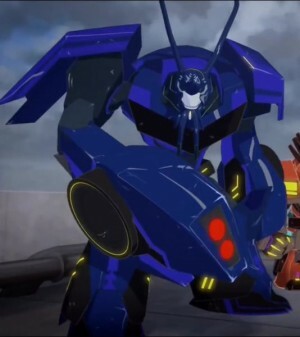 She’s also the one that brings Sqweeks, who is a mini-Transformer Vespa, into the group as they’ve been together for a while. Apparently Sqkweeks is broken, so the only thing he can say is chihuahua. Moner’s character lost her family in the battle of Chicago. With Masterpiece Inferno only just recently released and Legends Super Ginrai just weeks from release, some perhaps unsurprising but still exciting rumours have surfaced - Hong Kong's toys information site currently has some new listings. An MP-37 Artfire - a retool of MP Inferno - set for release in May 2017 for the price of 15,000 yen; and an LG-42 God Bomber, a character that in the 1988 Transformers Masterforce toyline combined with Ginrai to create the iconic God Ginrai. God Bomber's description currently lists him with the G1 Boxart as it's image however, and no more information is supplied, so take both of these with a grain of salt but feel free to look at the link below and discuss them in the forums! 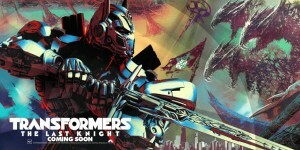 The site ComicBook.com is reporting that the trailer for Transformers: The Last Knight is primed and ready to roll out any time soon, with classification and 'IMAX in theater' sent through by Paramount. A word of warning though: the original article seems to have disappeared, but we have a cached version here - this may mean that the news was either incorrect or not meant for the public yet. In either case, check out more info below! It looks like we’ll be getting our first glimpse at Transformers: The Last Knight sooner rather than later thanks to a new trailer being classified. According to Consumer Protection BC, Paramount has sent through the trailer with an “IMAX in Theatre” label. This could mean any number of things. For instance, the last time we saw something like this was when Warner Brothers prepared the footage they were going to show for Batman V Superman which ended up being an IMAX event before footage made its way to the internet. It could also mean that the trailer might just run in front of IMAX releases. The next big IMAX release is Fantastic Beasts hitting theaters next week, so those looking to catch that film on the bigger screen will be treated to the trailer. In any instance, a trailer for Michael Bay’s final outing with the Transformers is ready to roll out and blow fans away. 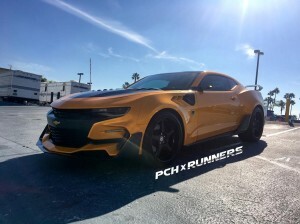 Instagram user PCHxRunners have posted a couple of shots of the new Camaro vehicle for Bumblebee, as will be seen in Transformers: The Last Knight, currently sat in the backlot of Paramount - which might say nothing, if cast member Isabela Moner hadn't also posted on Snapchat about her changing into her character again for some more Bumblebee-ing. Check out the images below! We reported here that composer Steve Jablonsky may be once again involved in the music side of Paramount's latest Transformers: The Last Knight movie. 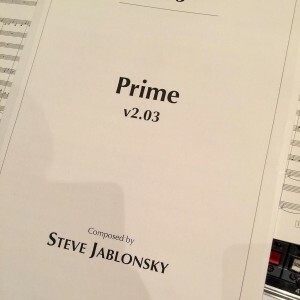 Now, his Twitter account shows another clue in the rumour puzzle: a possible revised version of the Prime track from Revenge of the Fallen's score! Check out the image below, and speculate away in the Energon Pub. 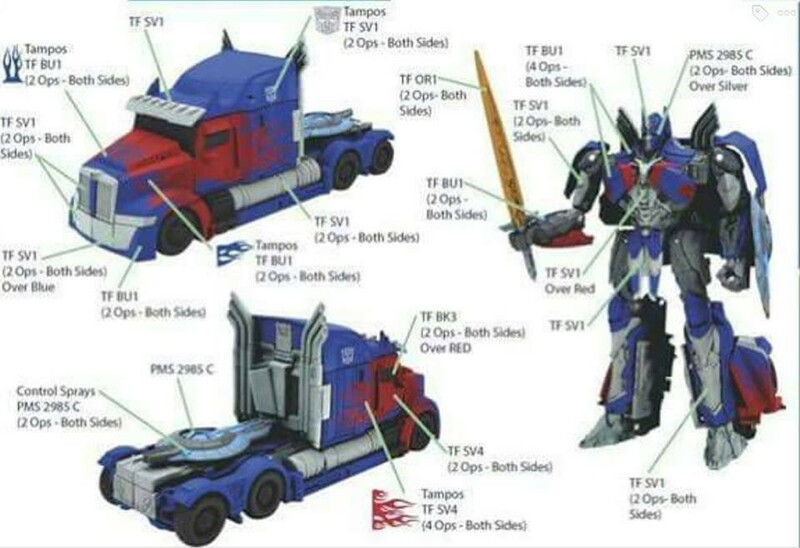 Via the Snakas toy blog, we have another potential look at the new Transformers: The Last Knight Optimus Prime figure - supposedly a voyager class toy, but more on that in a second - that we saw revealed in the colour test the other day. 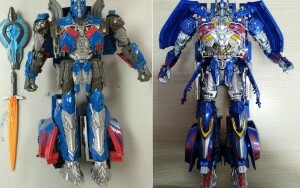 This new image seems to show the figure next to the Age of Extinction/Lost Age Leader class toy of Optimus in his knightly garb, so as far as we're concerned, the news is just adding confusion to the size matter. Still, check it out below! It looks like the design leak has not been plugged, as we have a fresh new image for the new Transformers: The Last Knight toyline, in the possible form (treat this as rumour until we know better) of leader of the Autobots Optimus Prime! The design shares some features with the Age of Extinction look, but looks a lot more streamlined in robot mode - check it out mirrored below from a variety of sources, and let us know what you think in the Energon Pub! The writers' room (which we reported on multiple times) has plotted out a lot of mythos for the Transformers universe and beyond, and artists were brought in too. Their goal was to create an alternate history of earth and how thre have been ties to Cybertronian technology all along. Out of the group work, The Last Knight and the 2018 Bumblebee spin-off were chosen. The preparatory material has been printed into a hardcover book, but only distributed to 'insiders'. 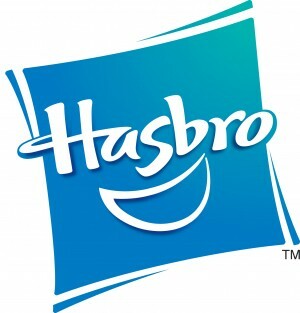 Things work in five-year business plans, as confirmed by Hasbro's Brian Goldner. Paramount are looking for a different director than Bay for the next movie - and that means the 2018 animated Bumblebee on. This does not mean that Bay is definitely out. Let's make that clear! The elements started in Transformers Age of Extinction and now The Last Knight will spill over into possible GI Joe and MASK stories and plans, so we'll have to wait and see what those elements actually are! Join in the discussion in the Energon Pub, and stay tuned to find out more as we do!